Growing up in Walnut, CA, Dr. Richard Rowley is a Southern California native. 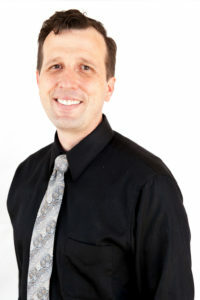 He received his Bachelor of Science degree in Microbiology from Brigham Young University, and his Doctorate of Chiropractic from Southern California University Health Sciences in 2011. Throughout Dr. Rowley’s career, his focus has been on understanding the underlying causes of patient’s problems, then seeking out the best non-invasive treatments to resolve the issue and not just cover the symptoms, or have unnecessary surgeries. For the last 7 years, Dr. Rowley has treated patients in regenerative and integrative clinics by working directly with professionals offering medical, chiropractic, physical therapy, eastern medicine, nutrition, and other evidence-based treatments. He has personally helped thousands of patients get back to living the quality of life they once had. When not treating patients he enjoys being with his family at the beach, cycling, or any other activity that lets them be outside together, taking advantage of this great California weather.